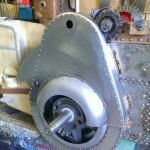 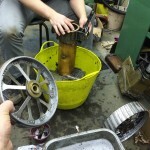 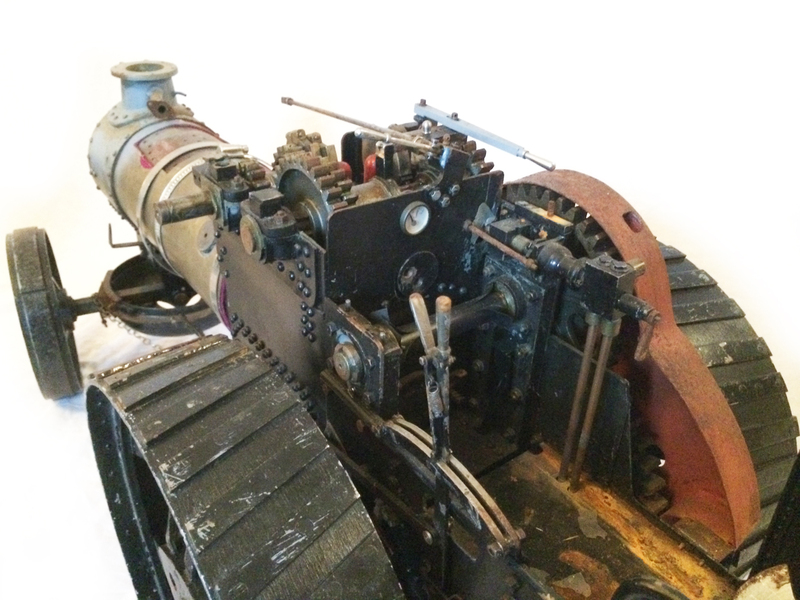 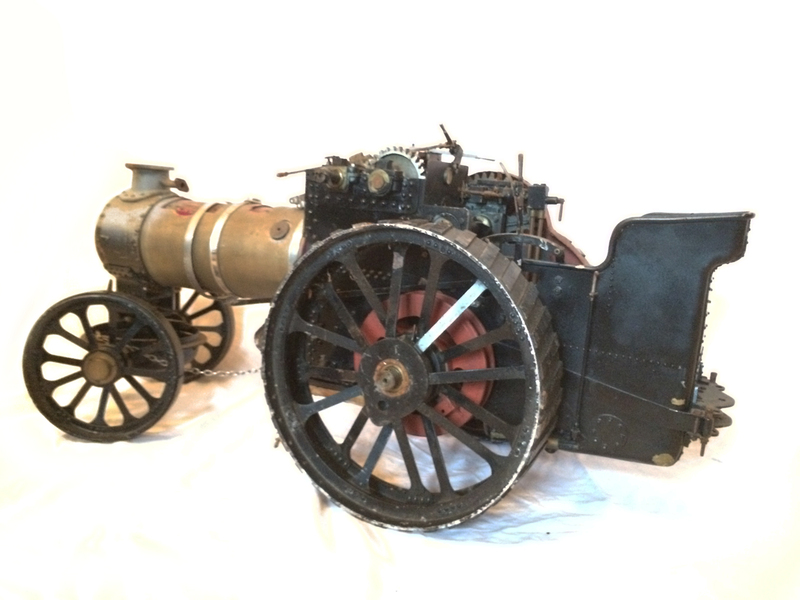 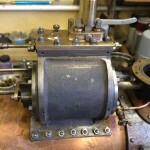 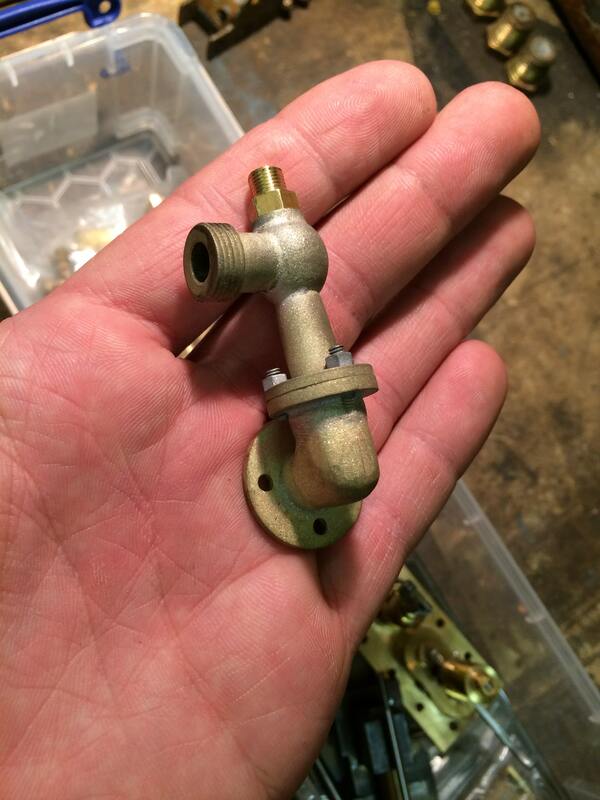 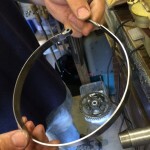 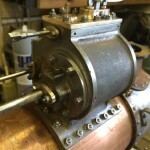 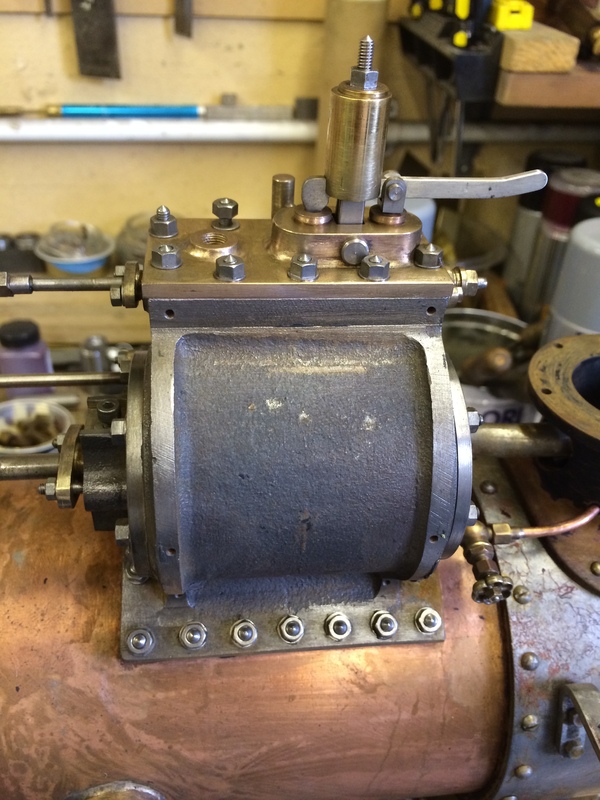 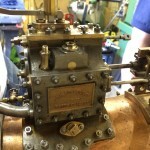 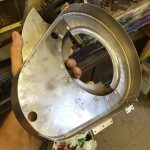 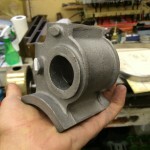 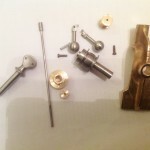 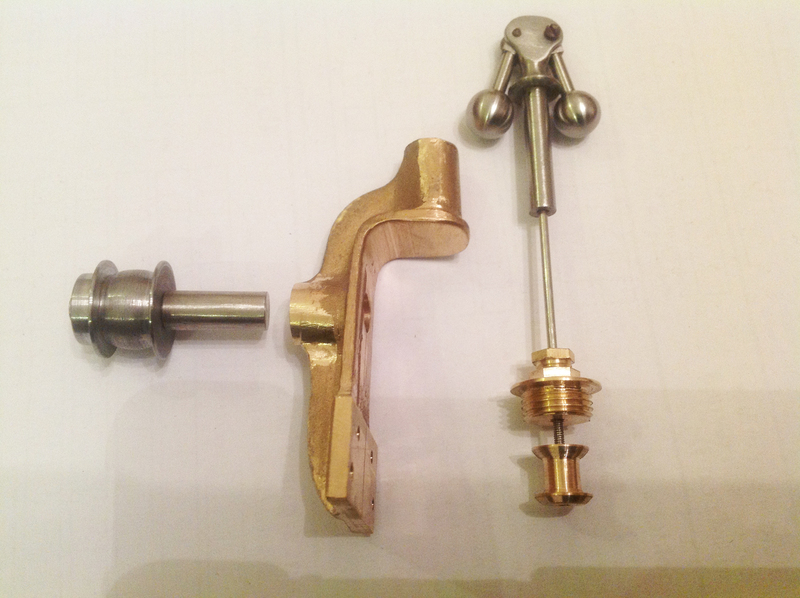 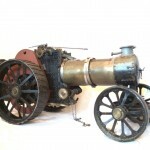 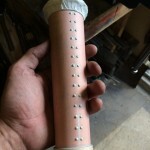 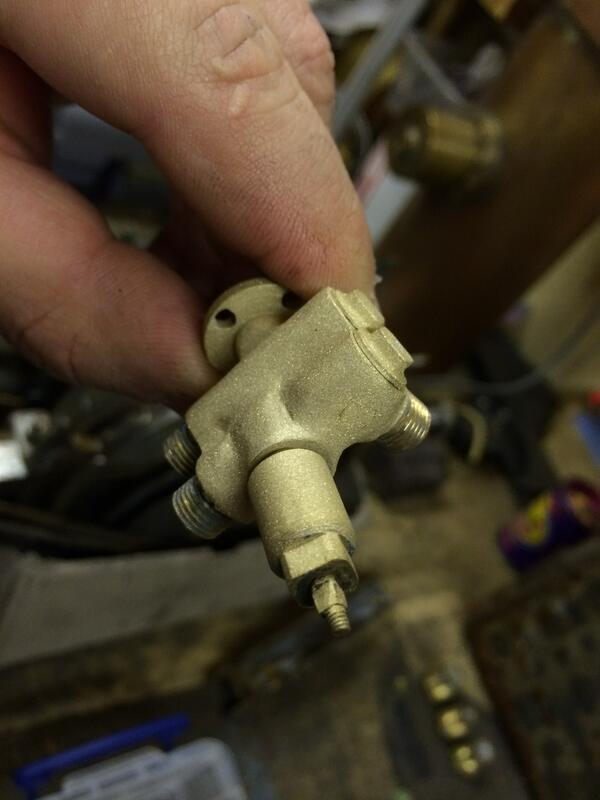 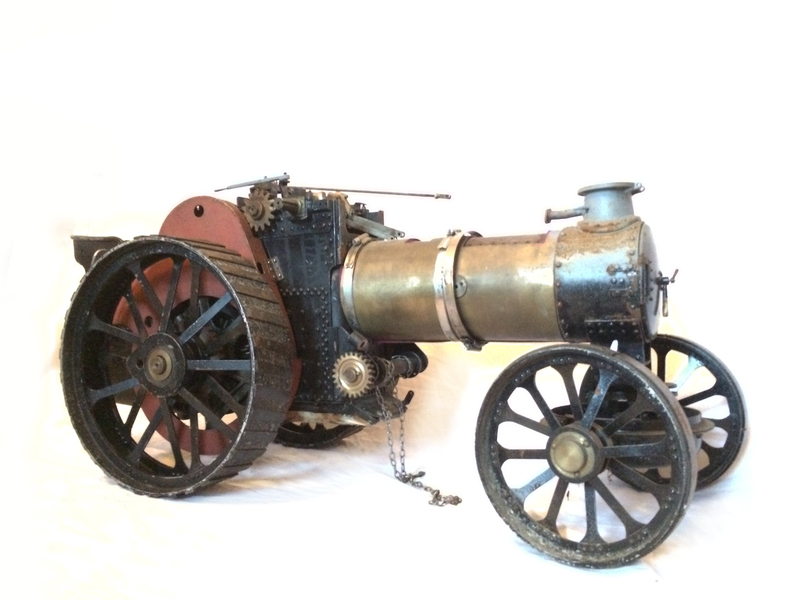 Here we have the part built 2″ Fowler A7 TE transferred from our for sale page. 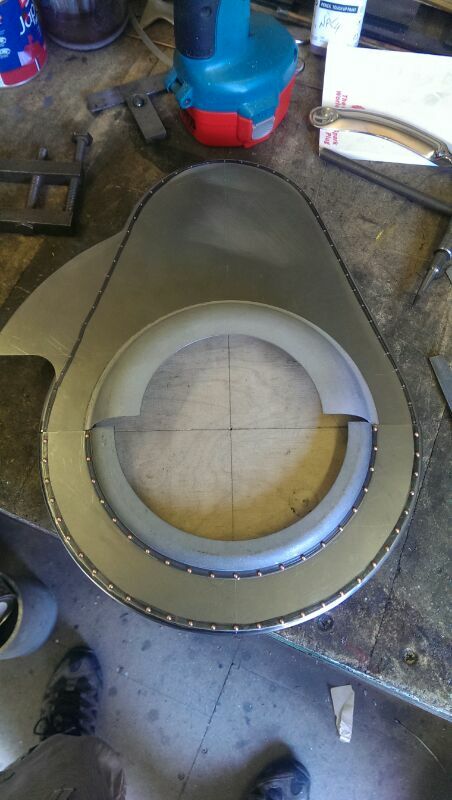 It is being finished in our workshop to our client specification, and we will be updating progress here for you to follow. 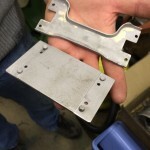 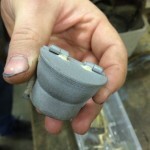 There’s quite a lot to do, including some intricate machining work, but first things first, it’ had to come apart so that we could assess precisely what needs to be done. 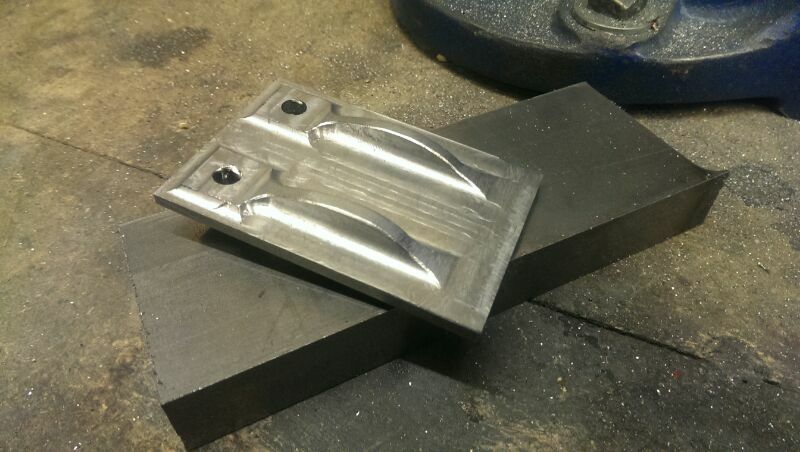 The drawings arrived from MJ engineering, as have a bunch of raw castings and other bits to get started on so once we get it all cleaned up we can get stuck into the machining proper! 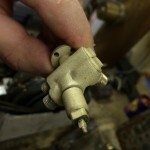 First up, the fittings from the top of the cylinder block. 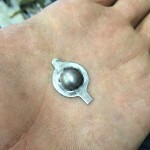 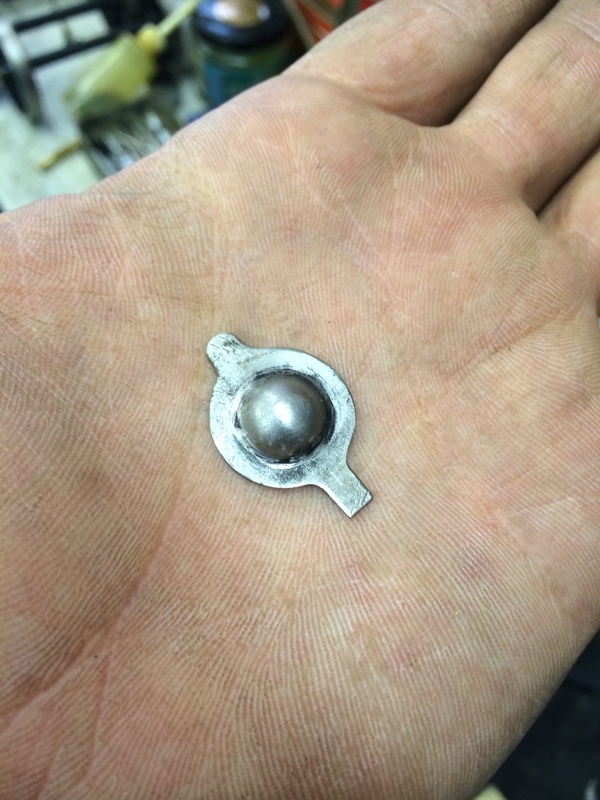 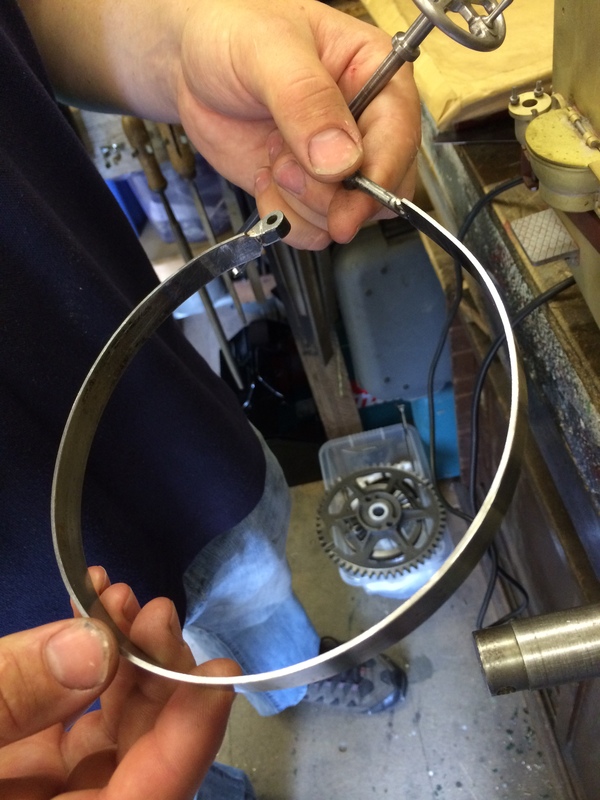 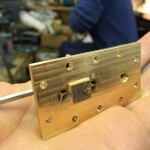 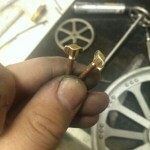 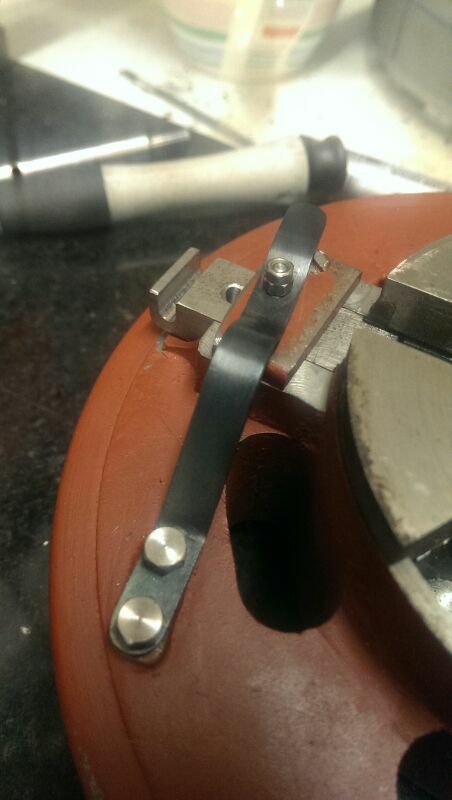 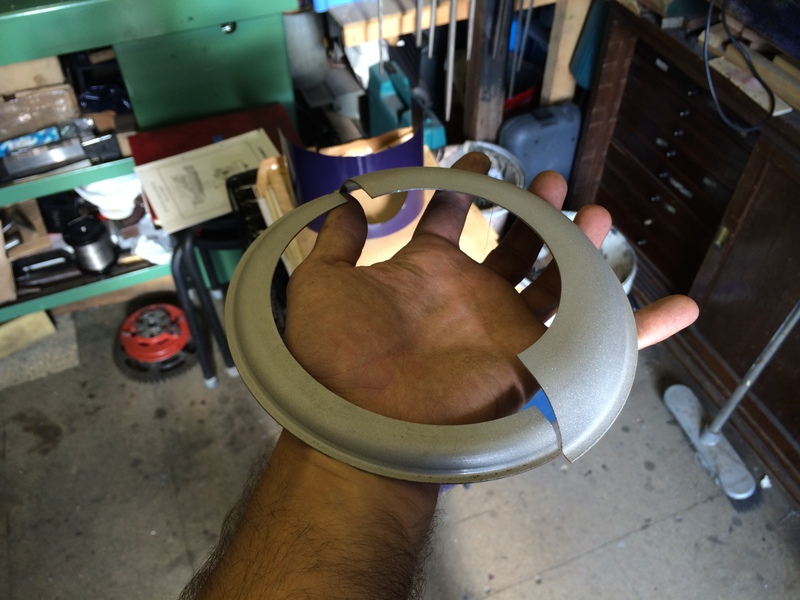 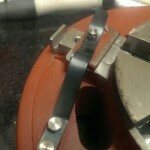 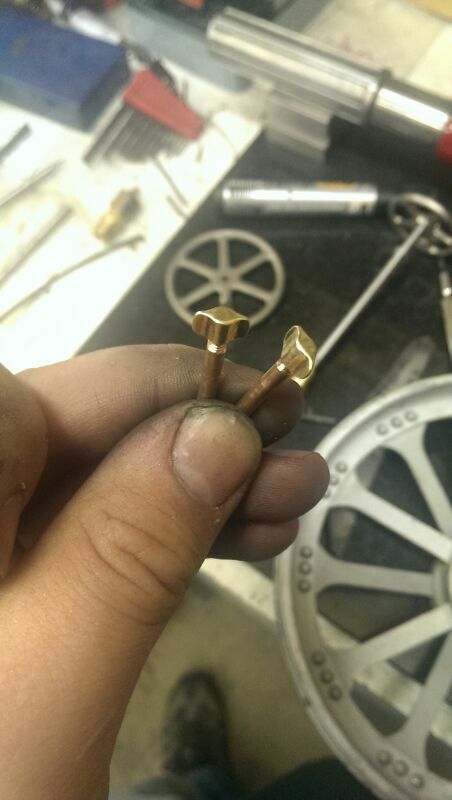 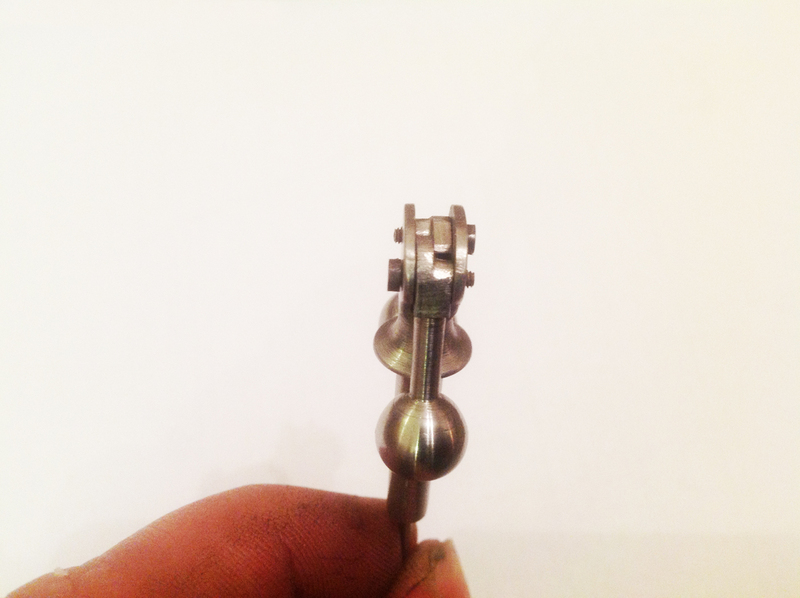 The Govenor assembly is all machined from scratch, to fit into the MJ govenor bracket casting. 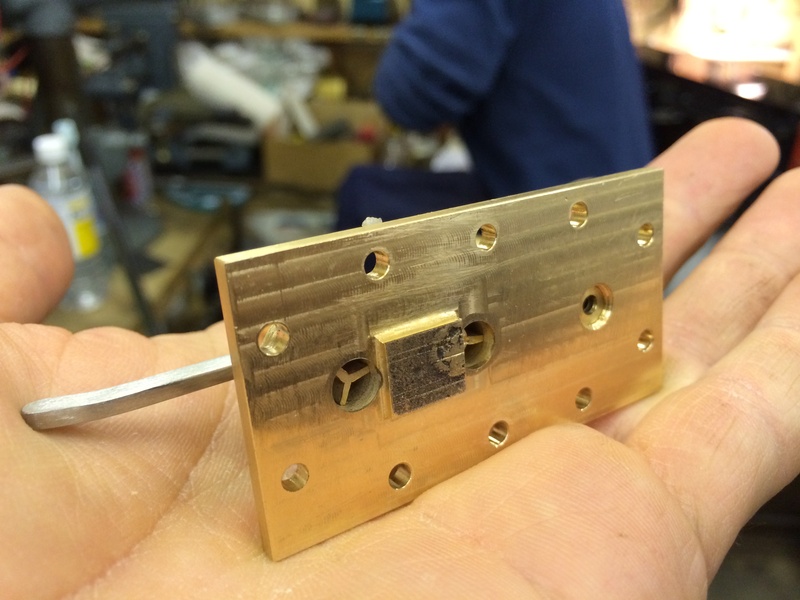 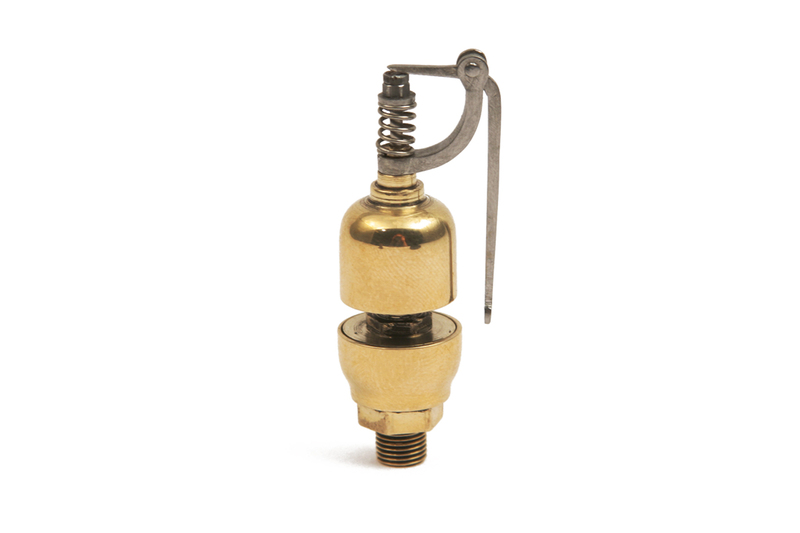 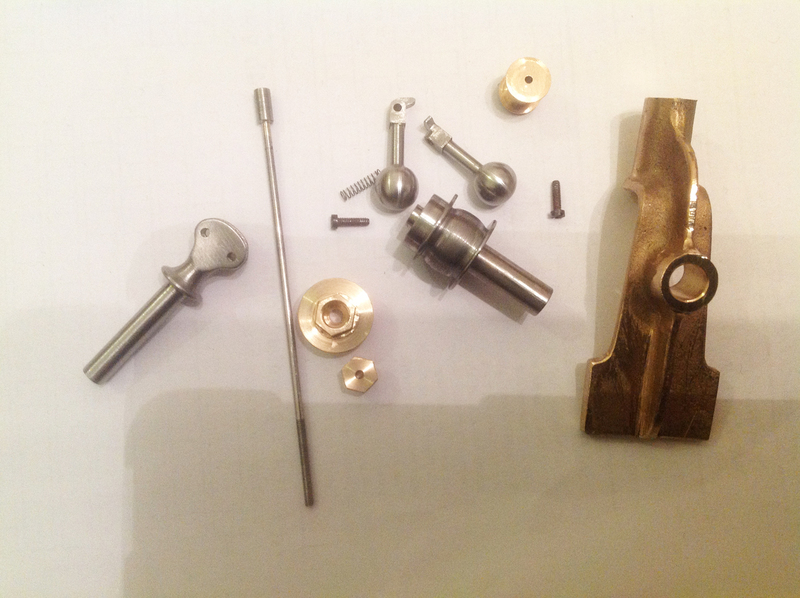 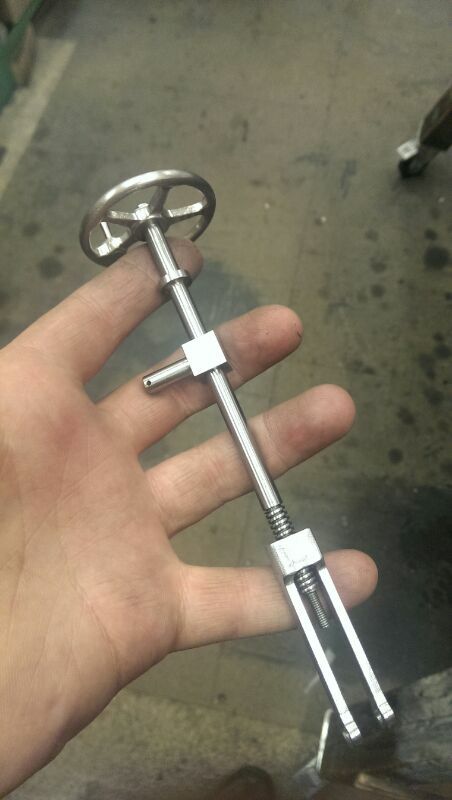 Also the nice little bell whistle’s been made along with the safety valves and base ready to pop onto the cylinder when the raw castings have arrived from MJ. 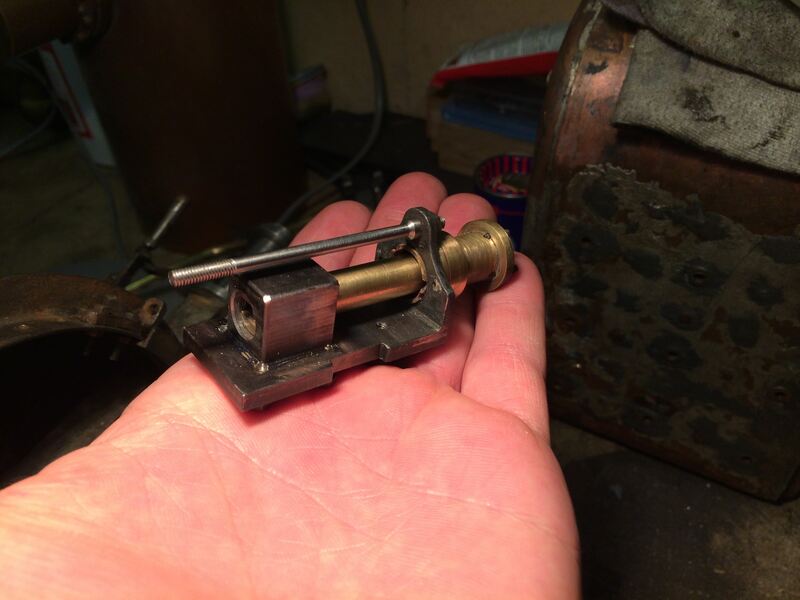 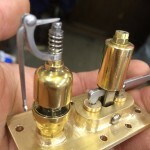 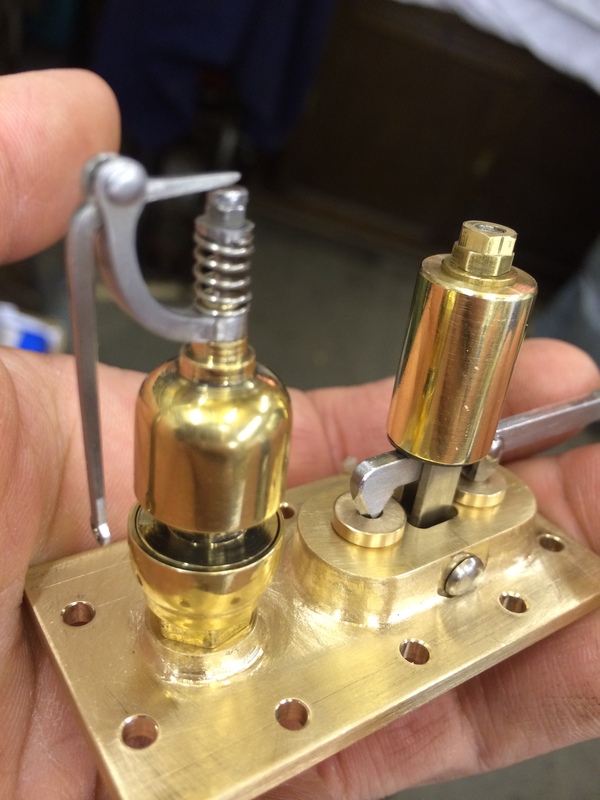 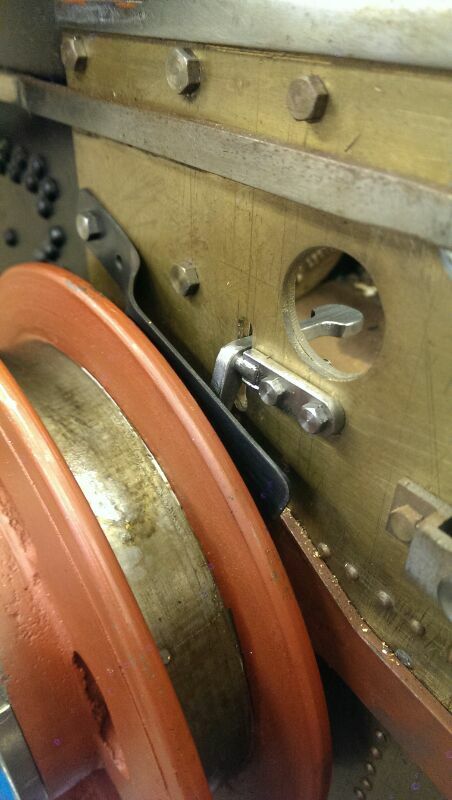 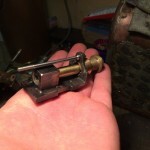 It’s a lovely little set up with the whistle valve integral to the bell it’s self, and the safety valve spring centrally located and hidden in the ‘salter-esque’ case. 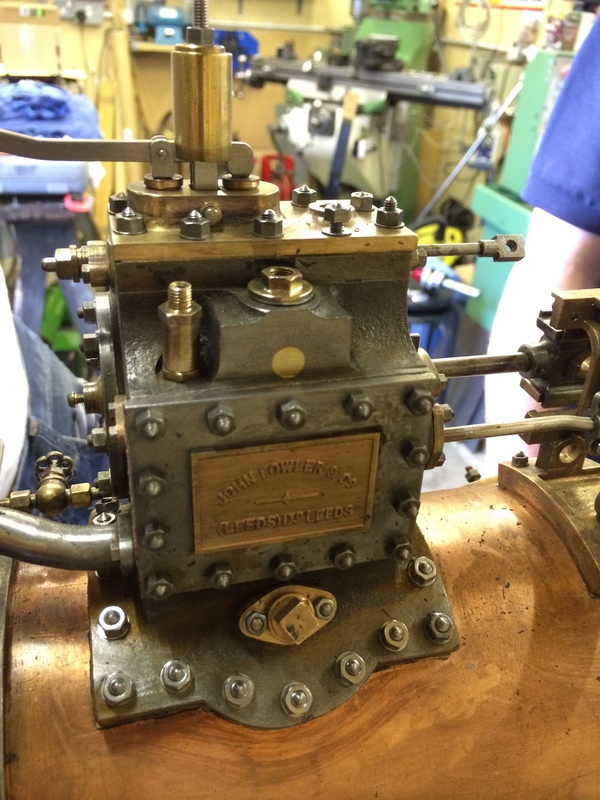 Both essentially unconventionally ‘upside down arrangements, and lovely features of the Fowler. 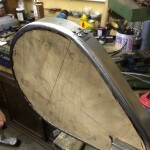 The dreaded paint stripping and clean up! 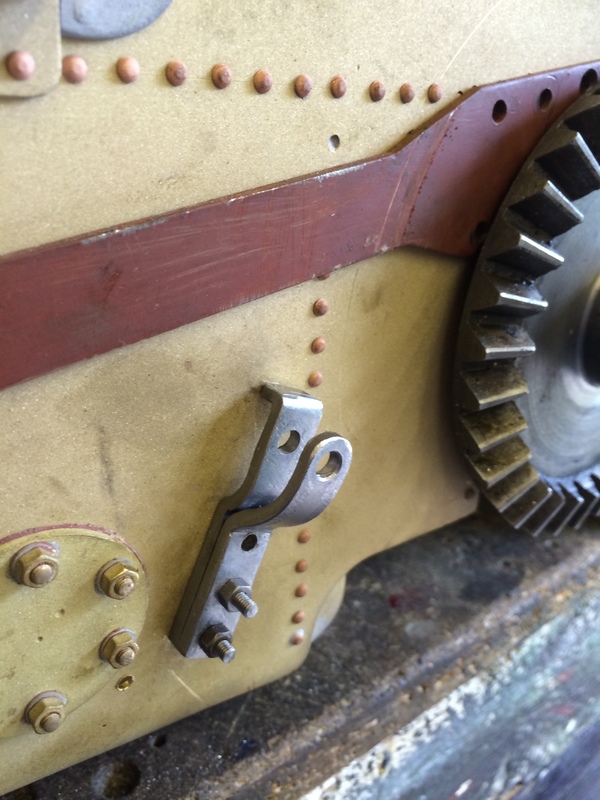 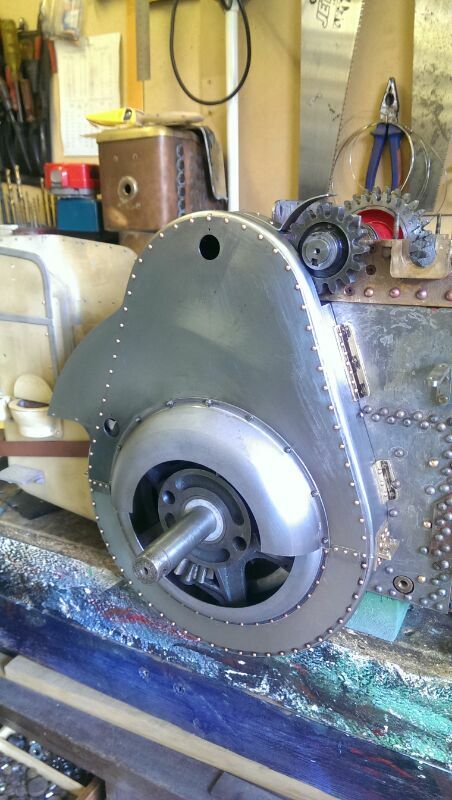 The newly made gear selector and re-worked arm. 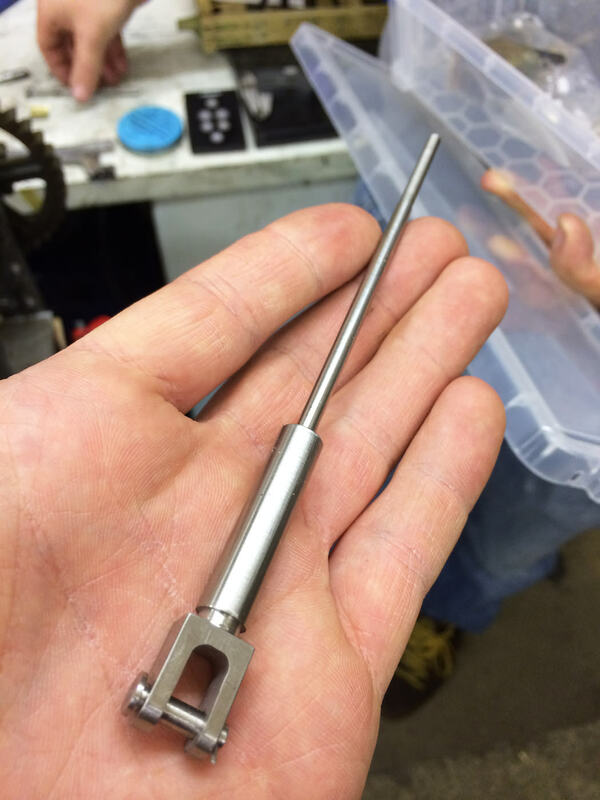 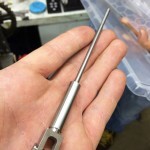 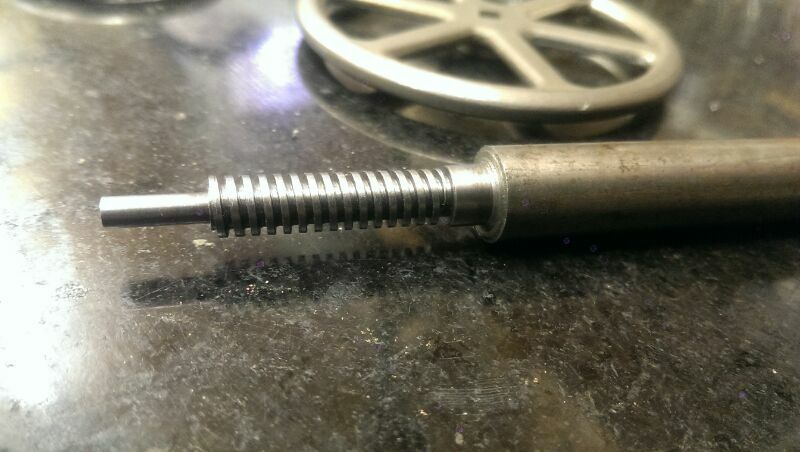 New valve rod machined up. 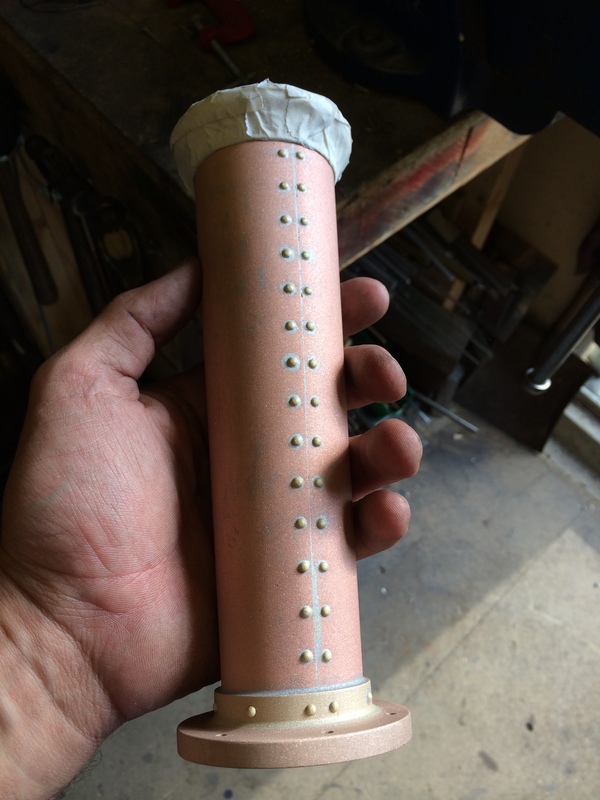 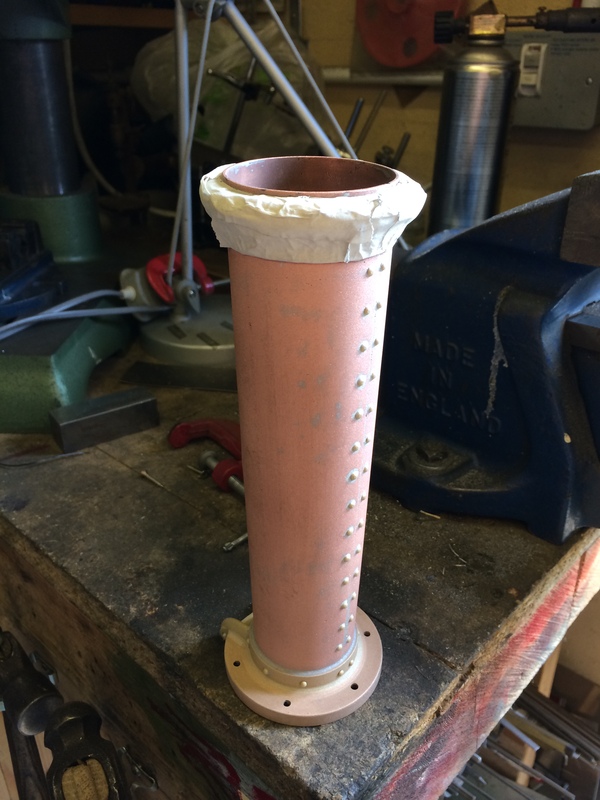 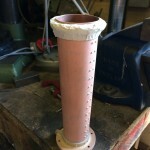 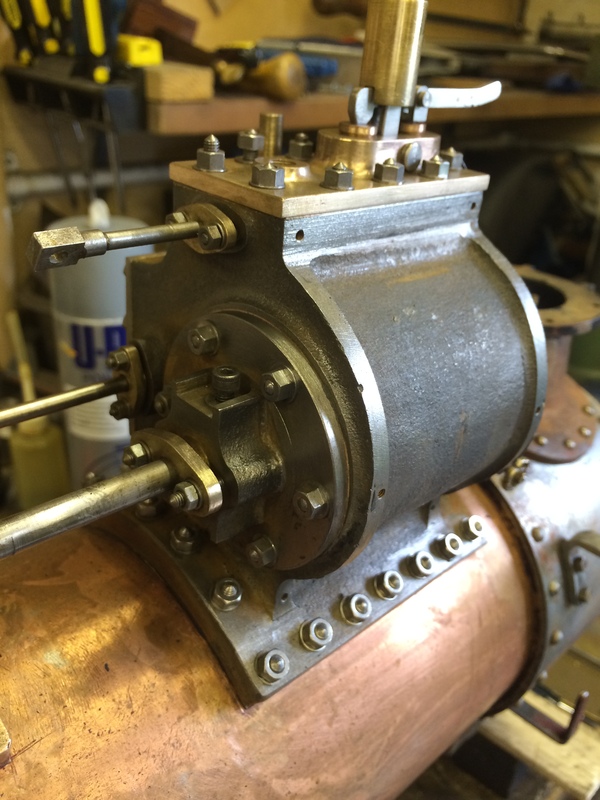 So whilst we waited for some of the bigger castings to be supplied by MJ Engineering, we have cracked on making all the fittings ready to go when we get to the final assembly stage. 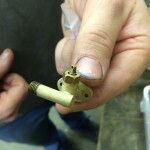 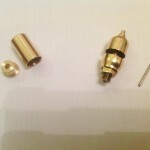 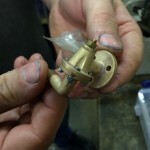 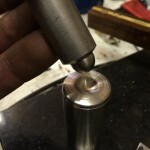 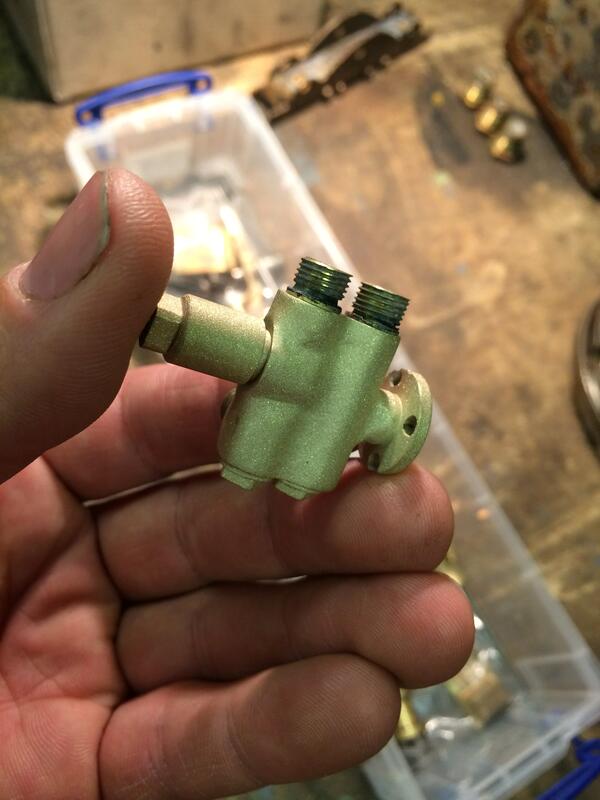 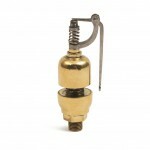 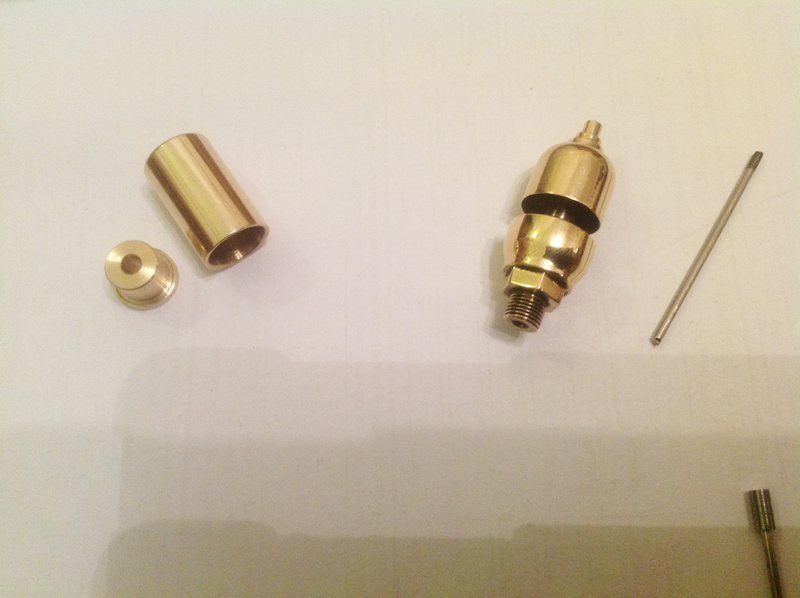 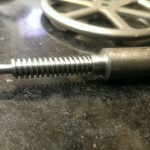 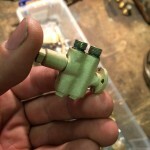 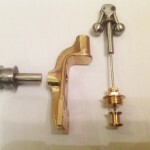 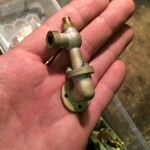 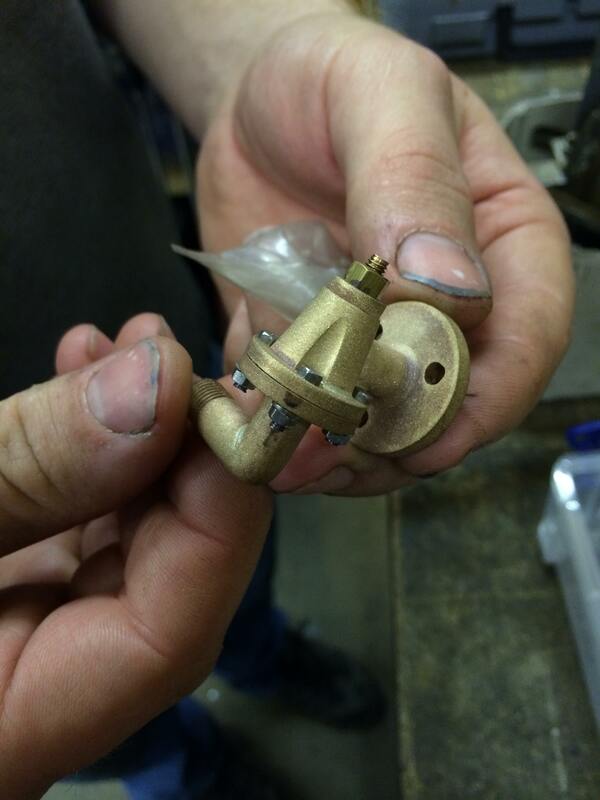 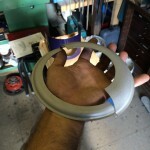 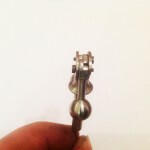 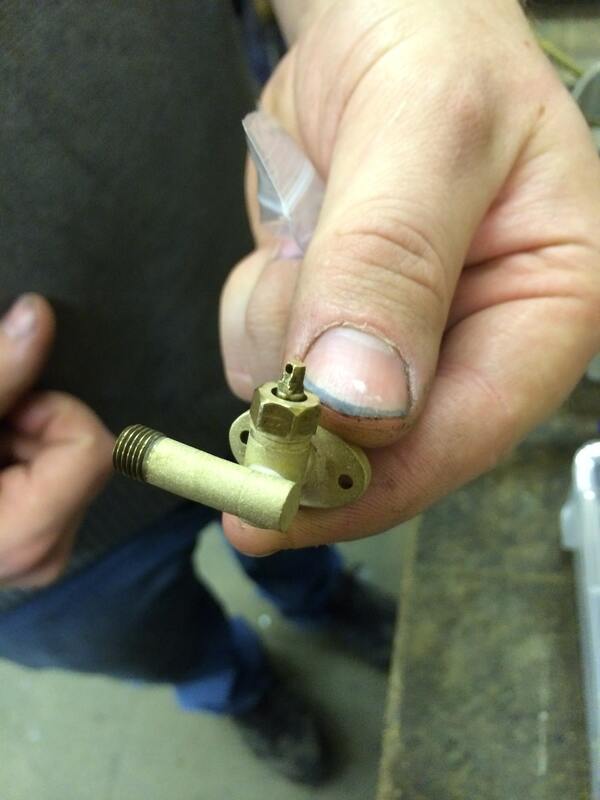 The fittings are all machined from solid, or at least fabricated. 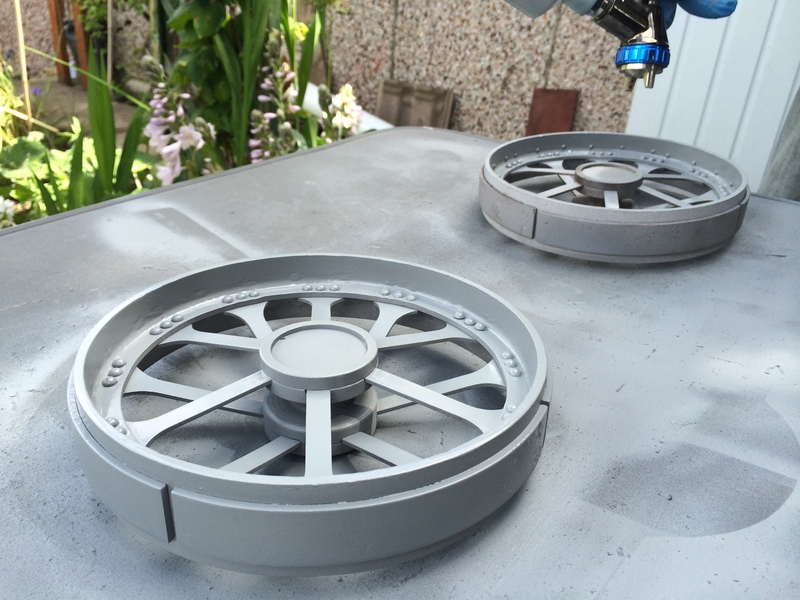 They often look like castings in photographs as we have bead blasted them all to create a good key surface for their paint, or indeed a nice uniform basis from which to polish. 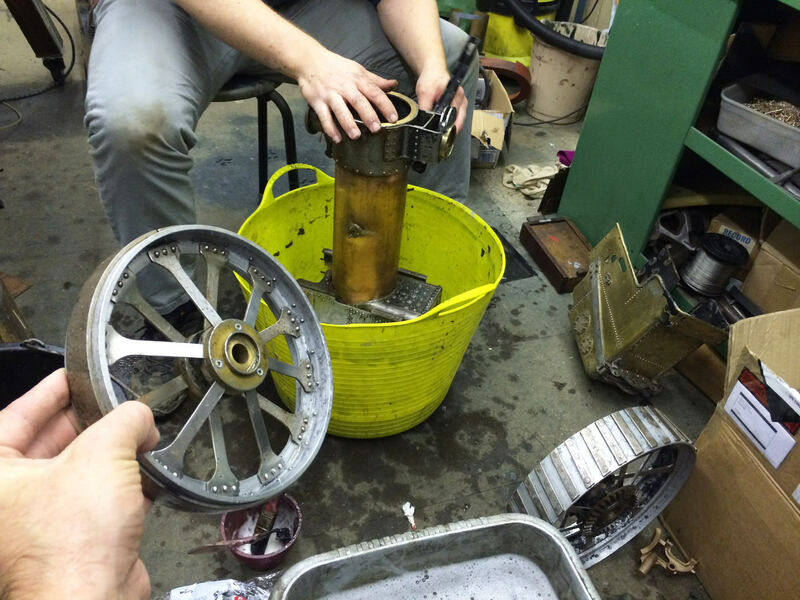 Next the wheels needed a bit of a tidy up. 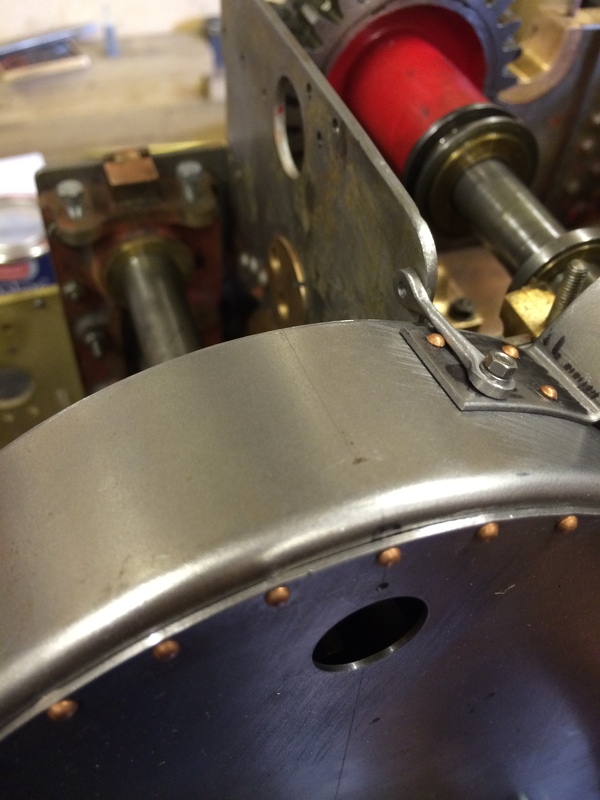 Whilst generally they were reasonably well made, the rivets were sometimes scruffy in the way that the heads had been finished, so we made a dome cutter to true up each individual head. 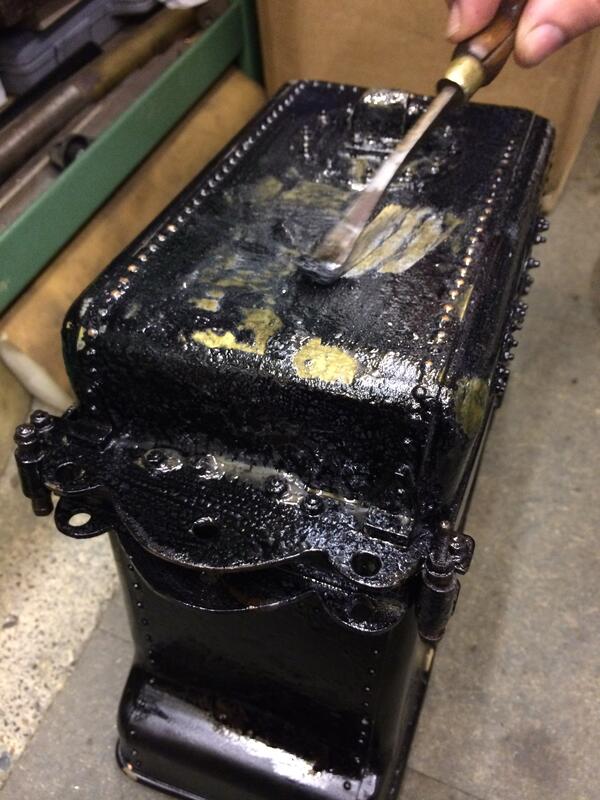 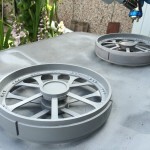 They were then bead blasted and primed ready for their black topcoat. 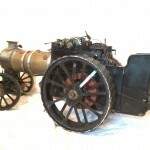 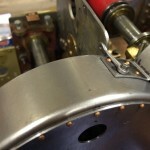 The lovely little wheel oil pipes and caps were also made and fitted. 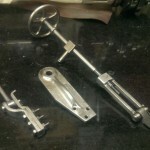 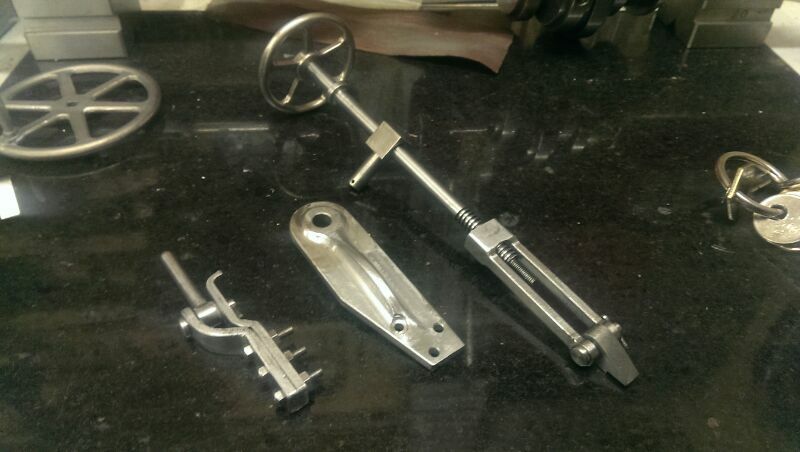 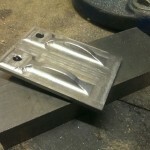 Next we produced some of the missing body components. 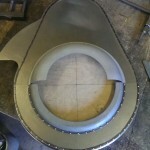 Here is the way that we made the main gear gaurd cover. 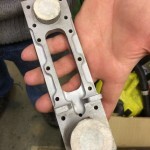 The original model actually had it’s guard already made, but only with a square 90 degree corner, and it wasn’t up to scratch. 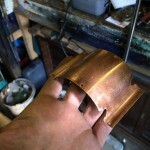 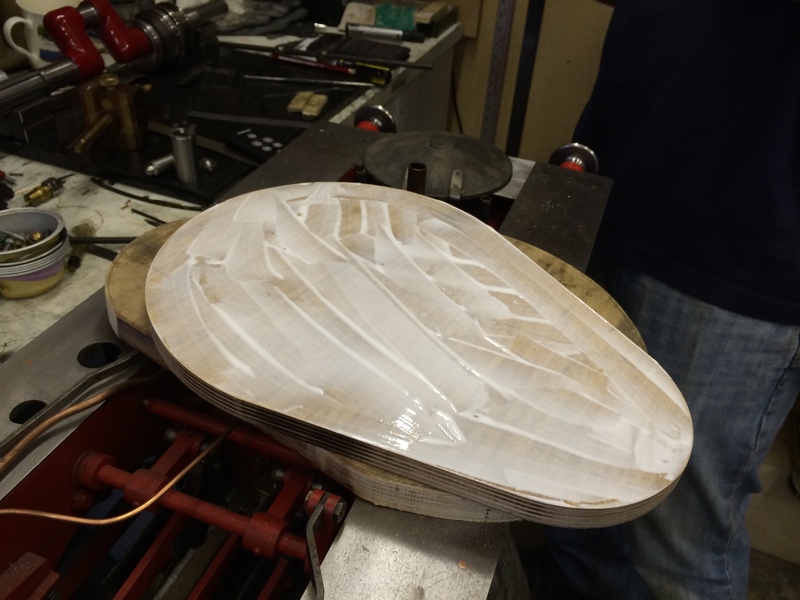 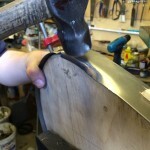 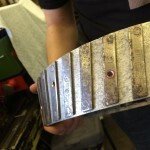 Instead, a new former was made, and a steel strip was beaten over to form the correct radius. 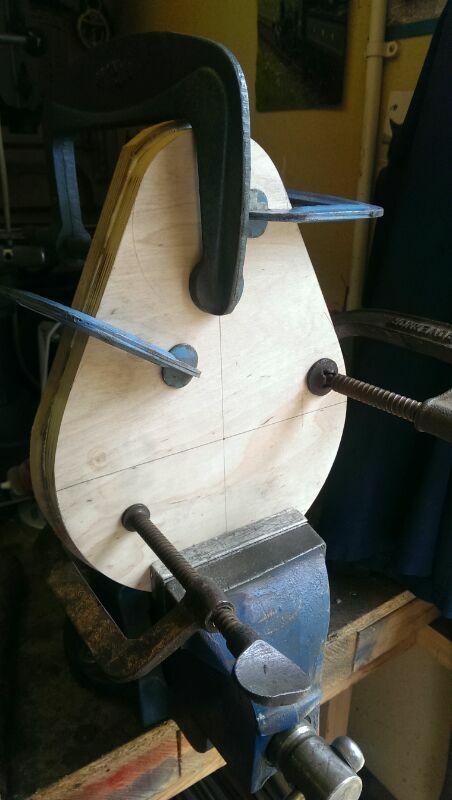 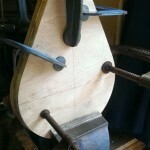 The smaller guards, being entirely circular were more easily made by spinnings which were then sliced into two. 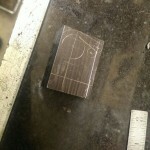 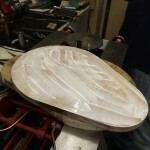 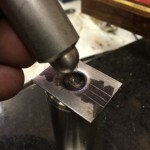 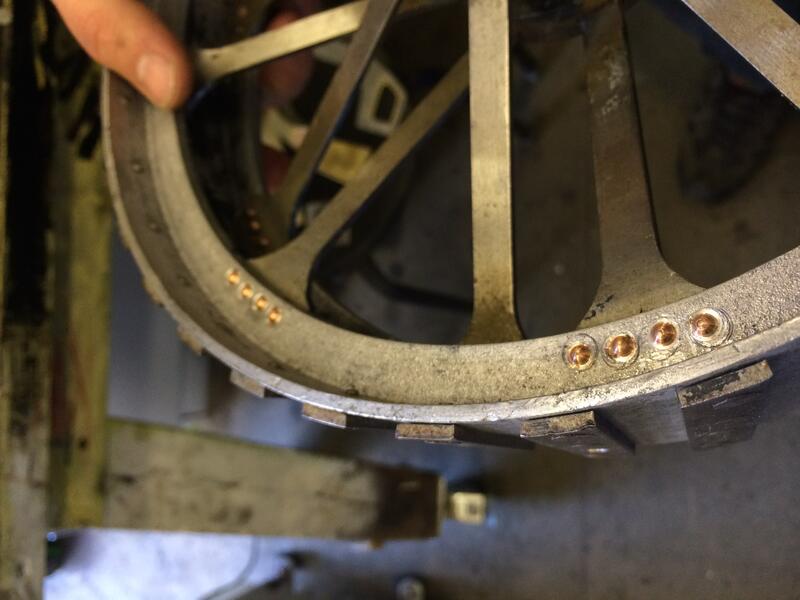 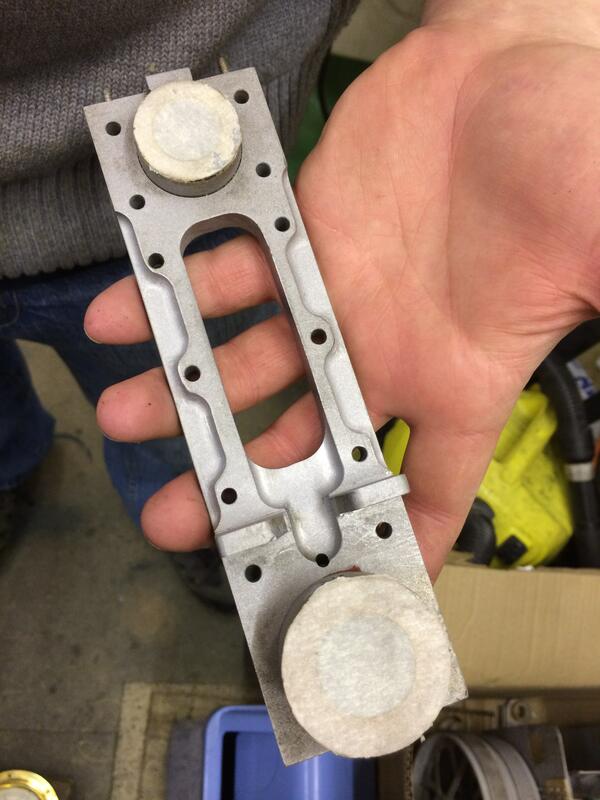 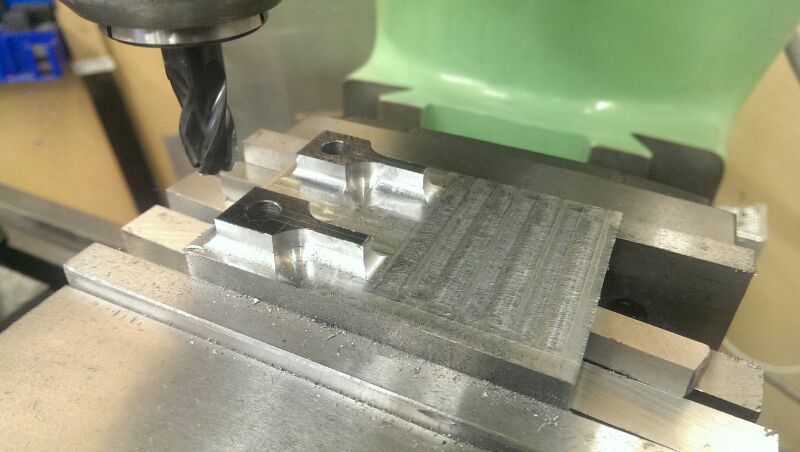 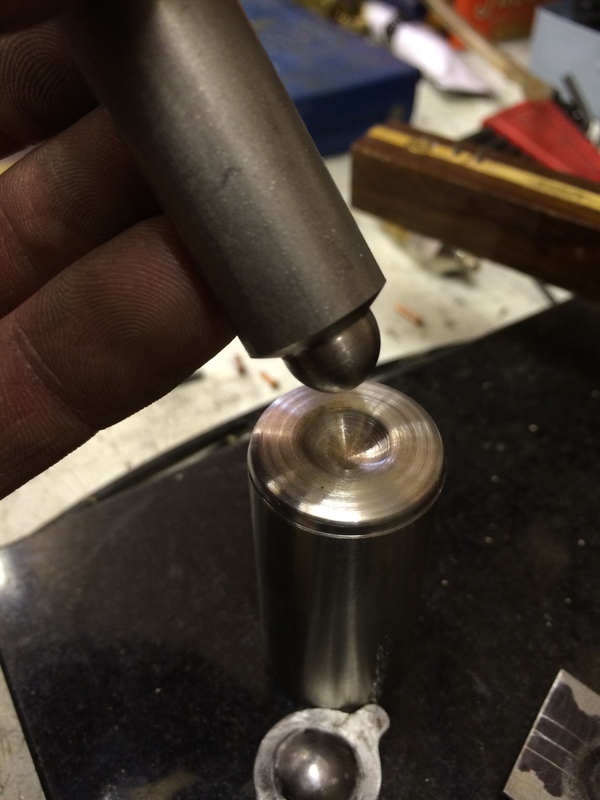 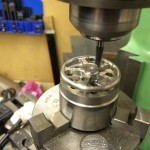 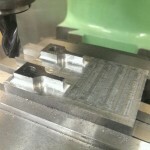 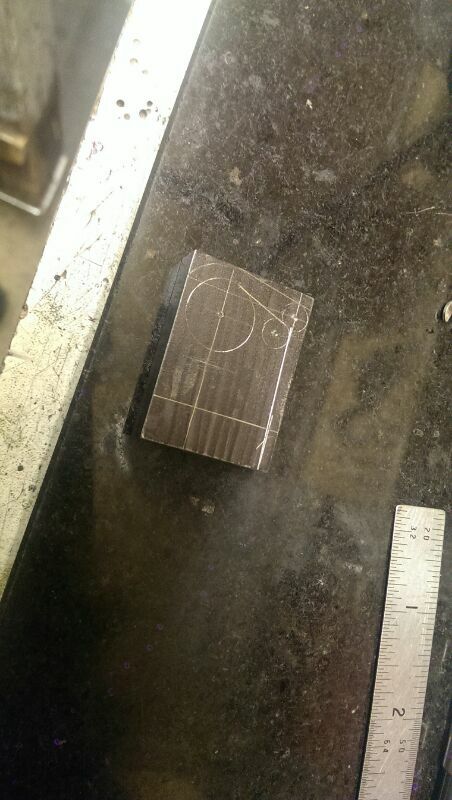 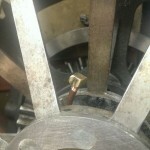 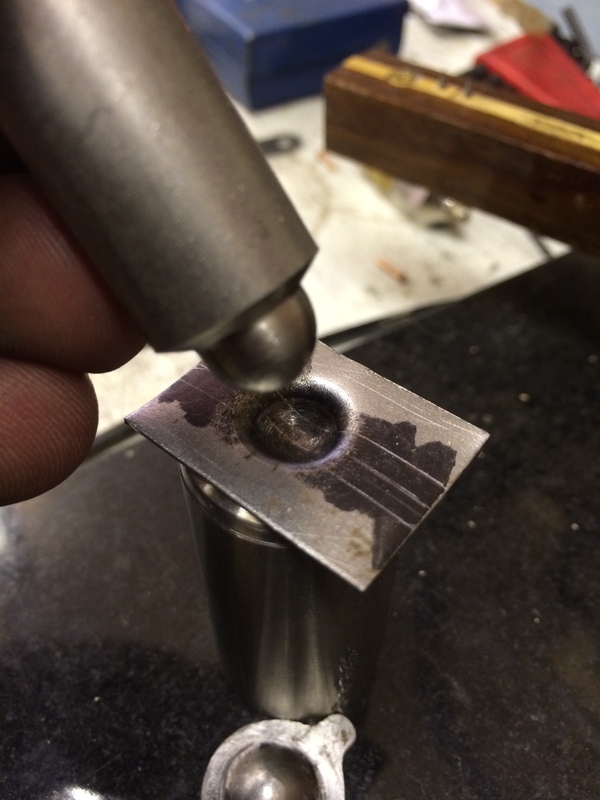 The little domed oiler inspection hole cover was produced by machining a press tool and stamping out as shown below. 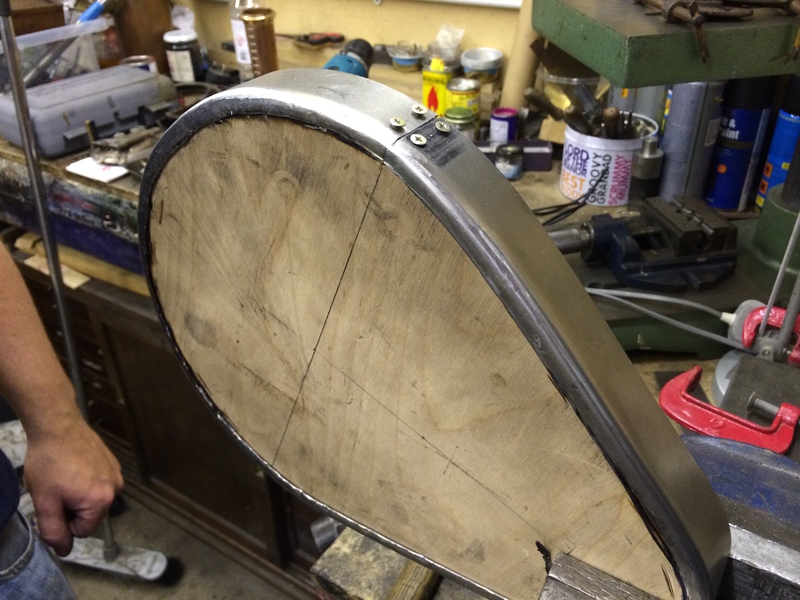 Next a few more of the bodywork bits. 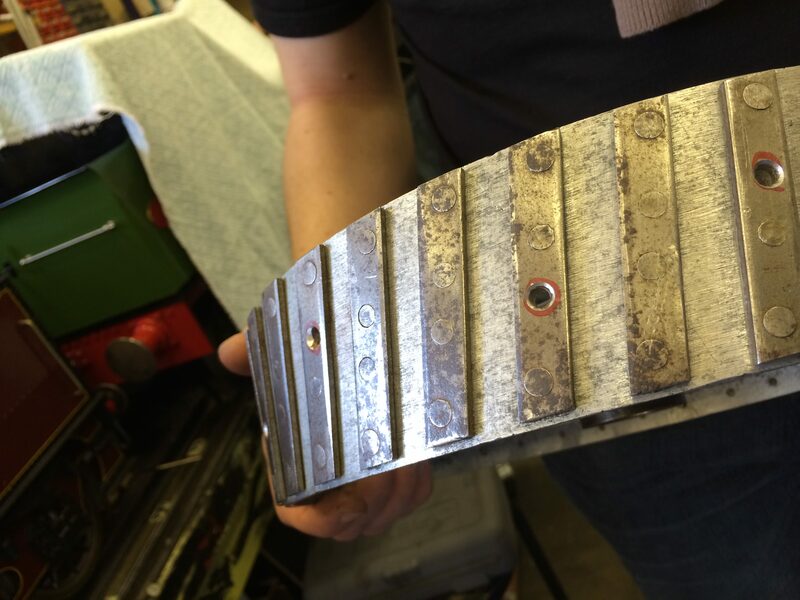 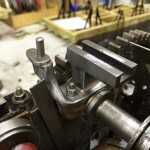 The main side plate frame strengthening supports for the shafts has also been re-machined to neaten it up, as the one on the model was again not quite up to scratch, or close enough to the drawings. 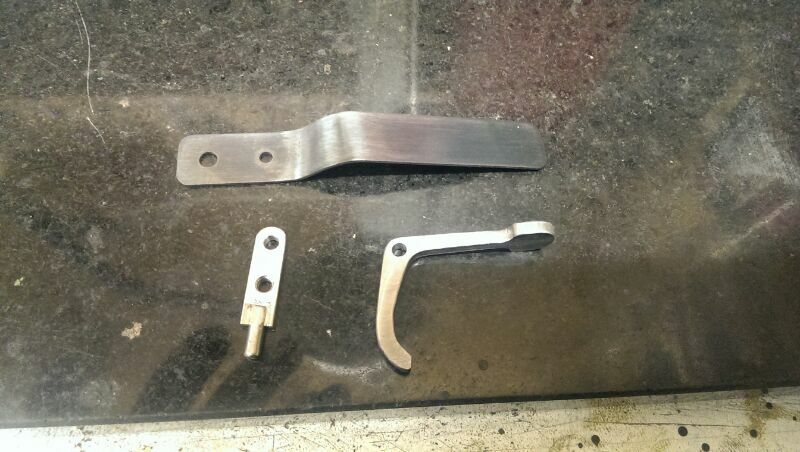 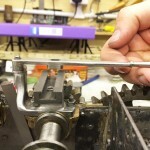 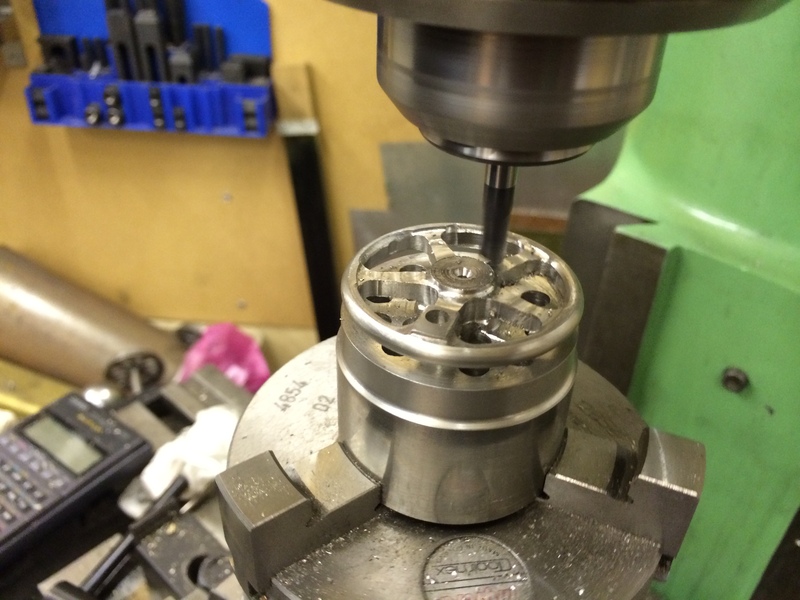 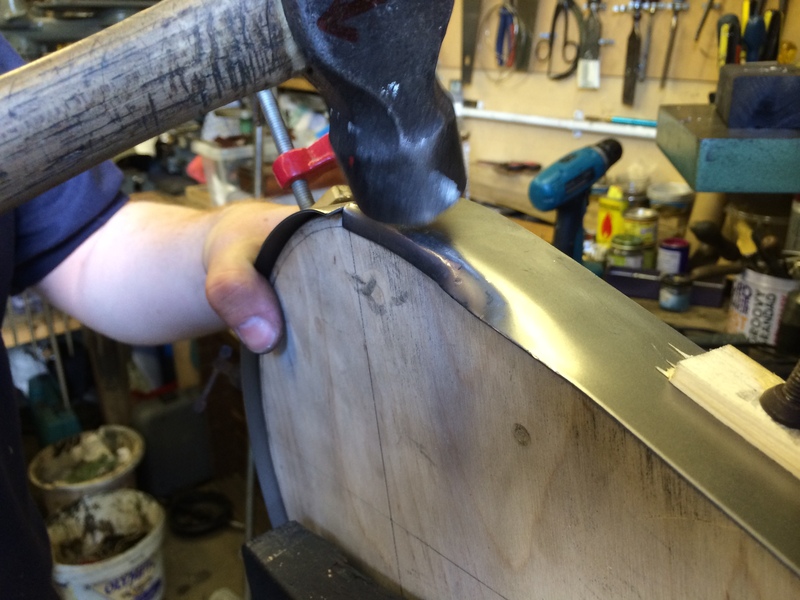 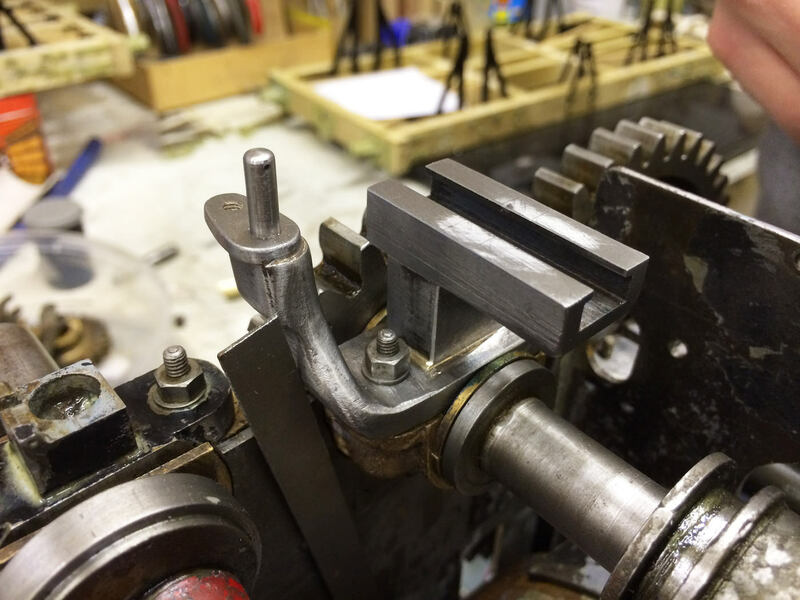 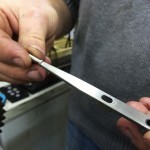 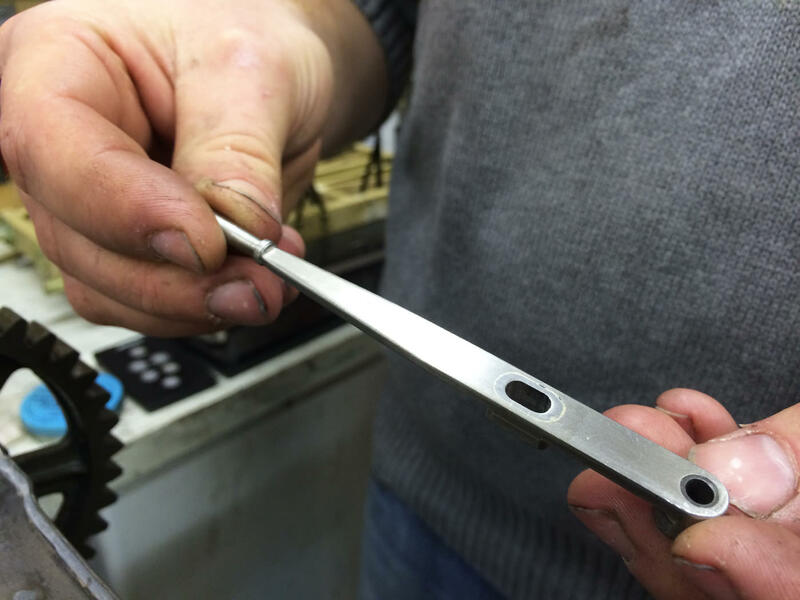 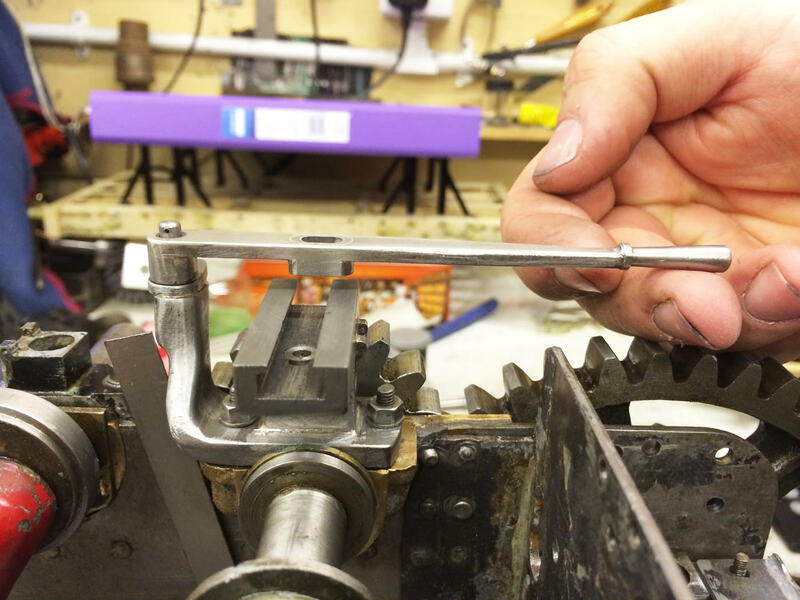 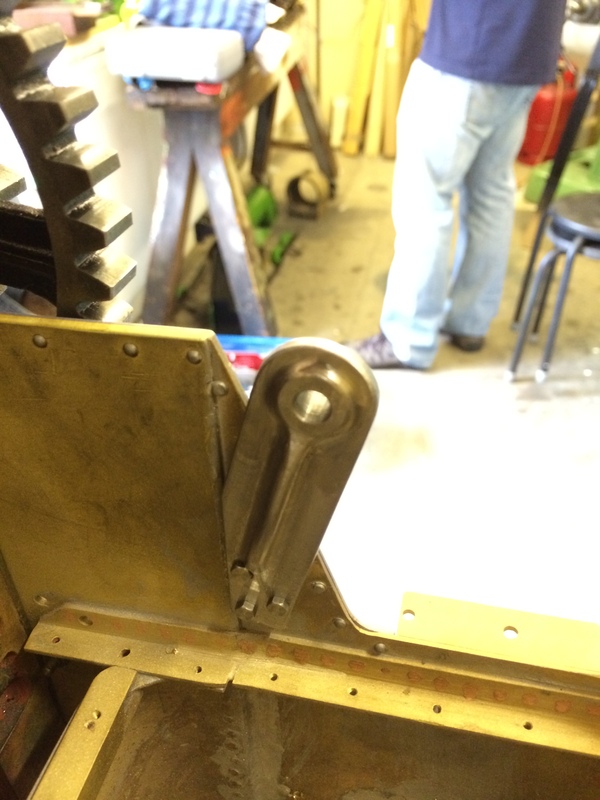 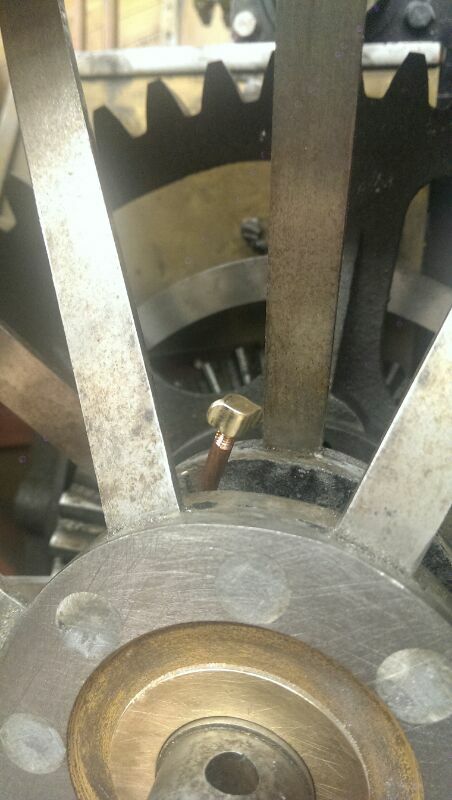 Next we machined the hand brake assembly, including a particularly satisfactory square thread! 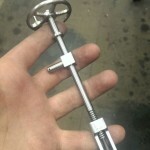 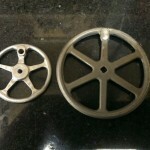 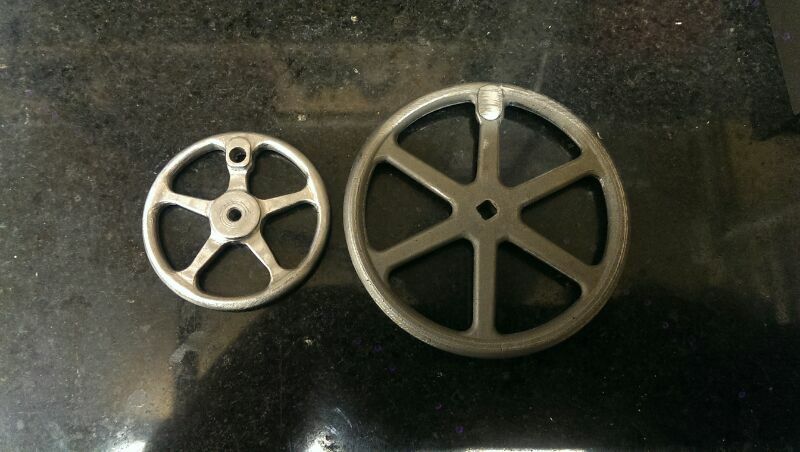 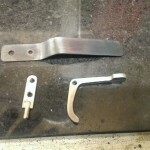 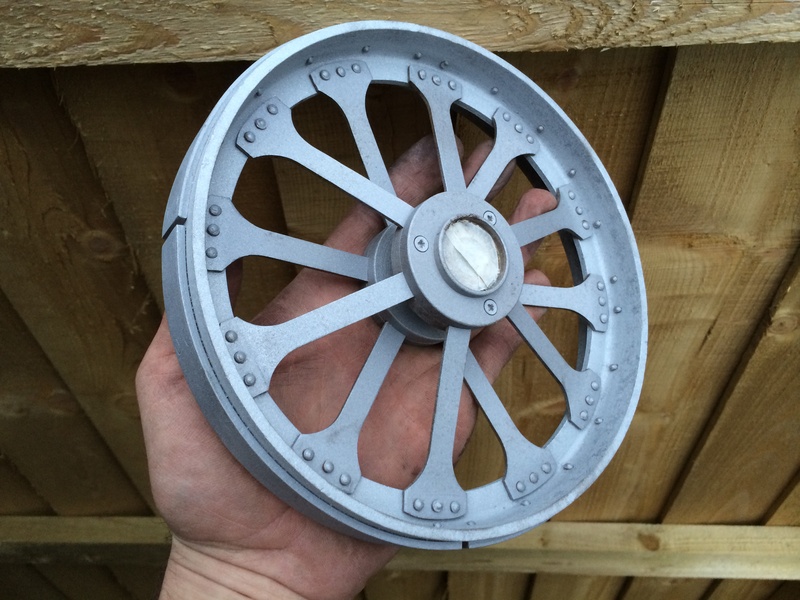 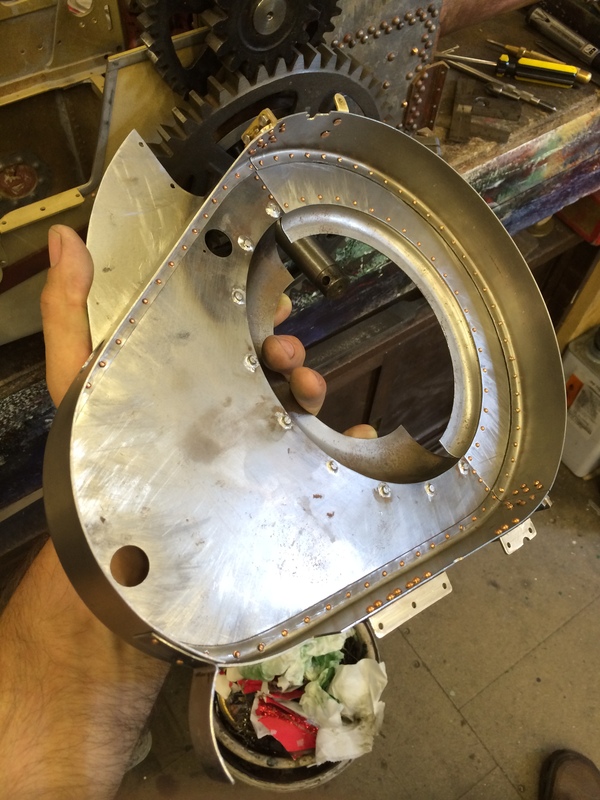 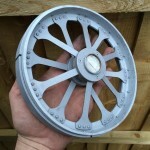 As you can see the brake handwheel was machined from solid, there not being currently any castings available from MJ. 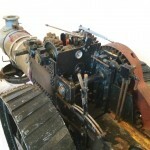 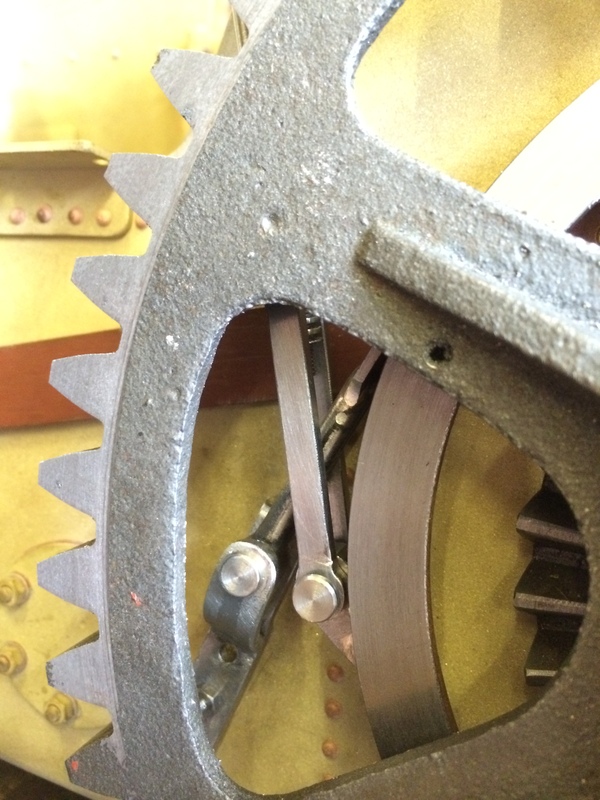 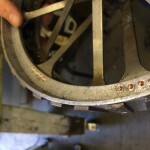 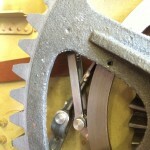 Some details of the winding drum and it’s spooler brake. 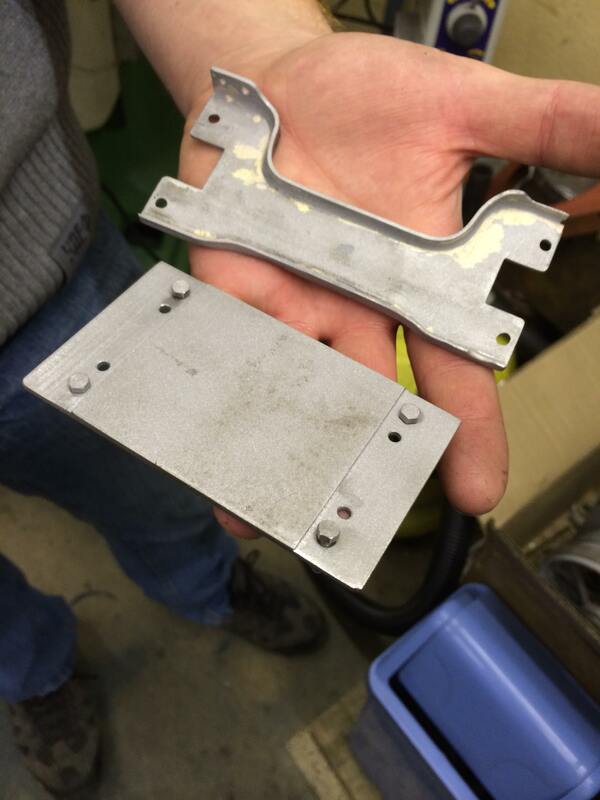 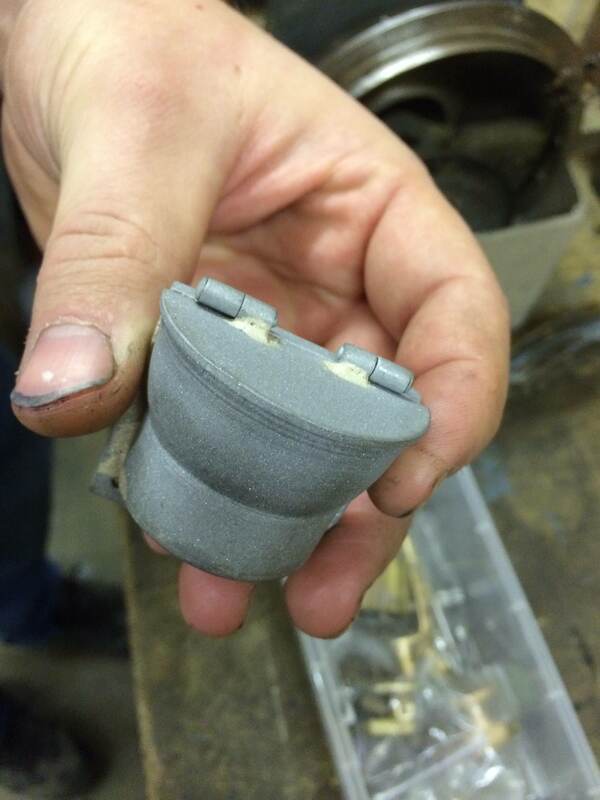 The intricately shaped brake foot pedal was machined from the solid block below. 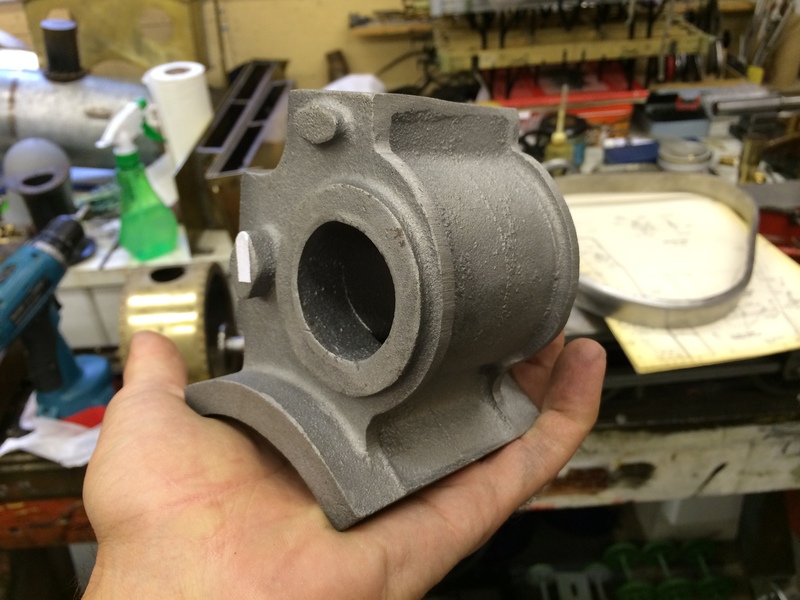 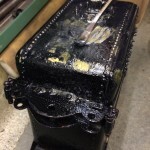 So The good news is that the Cylinder block casting arrived from MJ a few weeks ago now, and so things have finally raced ahead on that score. 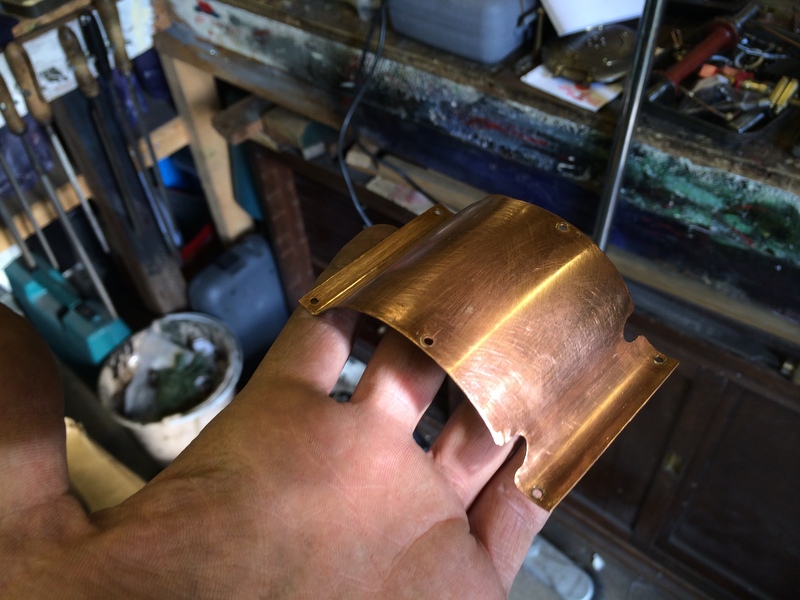 Really feels like the back of the project has been broken now, and lots of the bits that we made whilst waiting for the castings to turn up can begin to come together! 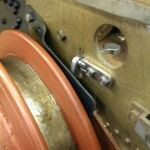 Here’s another lovely little feature of the A7. 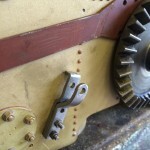 The little twisted frame tie to retain the gear guard. 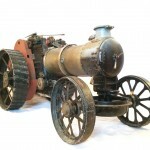 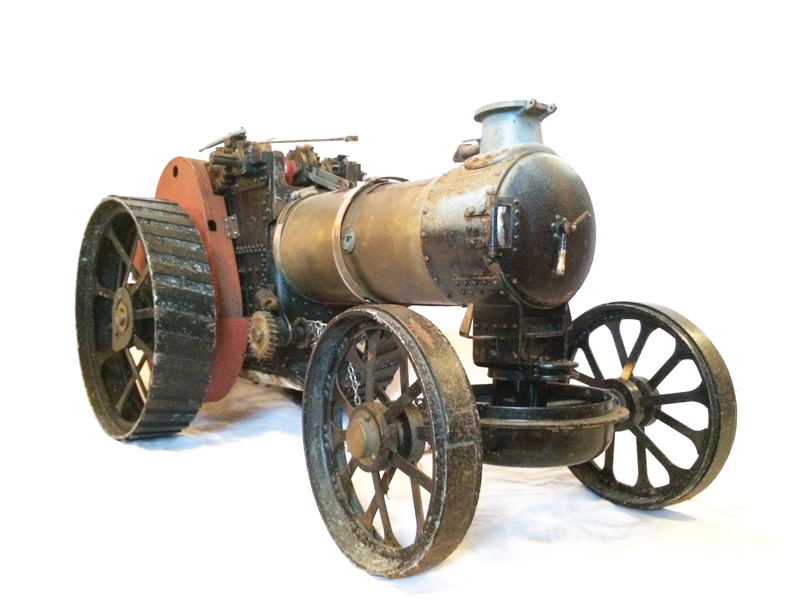 Fowlers really did have a flair for ‘form’ as well as function! 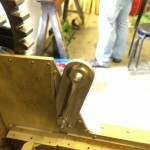 More to follow next week as this is an ongoing project!